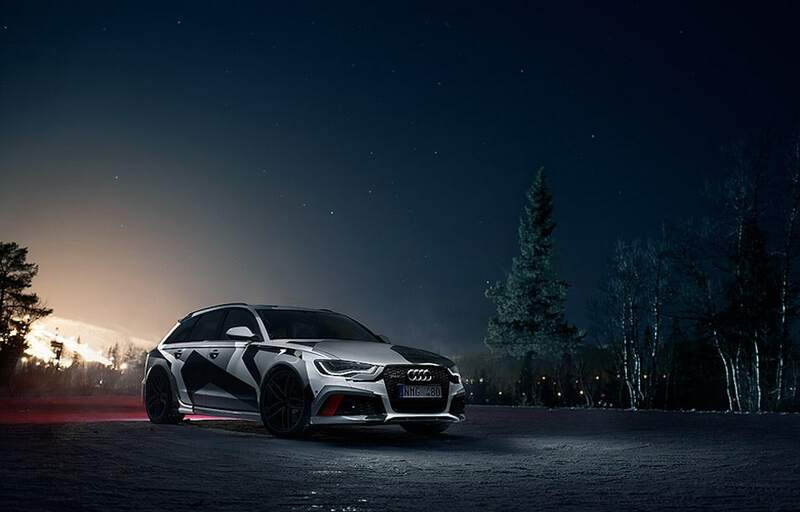 Well, it might look something like Jon Olsson‘s snow camo Audi RS6 Avant, completely tricked out to get him through the snow in style. With a new H&R suspension and snow-ready new wheels and tires, this winter wagon is a sight to behold with performance to match. This camo beauty will take Jon and four of his buddies from zero to sixty in a mere 3.9 seconds – quite the performance from a wagon. He’s already proven his prowess for making Audis his own with last year’s R8 conversion, and he continues the tradition with a little help from Stertman Motorsport with this one. The Milltek exhaust is an additional add on for the RS6, which Olsson calls “the most impressive car he has ever driven.” And with what he has driven in the past, that is really saying something, especially considering that this is a wagon. Could it be that Jon is getting older and looking for something a little more mature? Doubtful. This baby is designed to give other performance vehicles a run for their money, and the custom touches only serve to sweeten the deal.